The following figures are estimated in U.S. dollars. Please note that the exchange rate fluctuates frequently. When Remains Are Embalmed: If embalmed by using formaldehyde, the body must be buried within five to six days. If fully embalmed by the Spanish “Barnes” system or a Similar system, the time permitted for burial is indefinite. When Remains Are Not Embalmed: In Brasilia, the city morgue has refrigeration facilities and not embalmed remains may be kept up to 15 days if necessary. Outside urban areas, refrigeration facilities may be scarce. Embalming must be done by a licensed physician, and must be specifically requested. If death was accidental, or occurred in the absence of a physician, local authorities will require an autopsy prior to embalming. When refrigeration facilities are unavailable, embalming must be performed within twenty-four hours following death. Cremation is available at the Cemeterio Cidade Jardins, Valparaiso, State of Goias (near Brasilia). All arrangements must be done through a Funeral Agency. Brazilian law states that written proof expressing a desire to be cremated is required. In lieu of written proof, three witnesses must testify to the expressed wishes of the deceased or family. A court order is required to release remains for cremation when death occurs from other than natural causes. When remains are to be transported out of the country, the body is first embalmed or otherwise appropriately prepared or cremated for shipment. It is then placed in a casket with zinc lining, or urn in the case of cremation, within a wooden coffin which is finally placed in a suitable packing case that can support the weight of the complete container and body. Caskets and urns are available locally. They are prepared according to international regulations and meet the requirements for shipment out of the country. Authorization from the Federal Police to ship the remains out of the country. 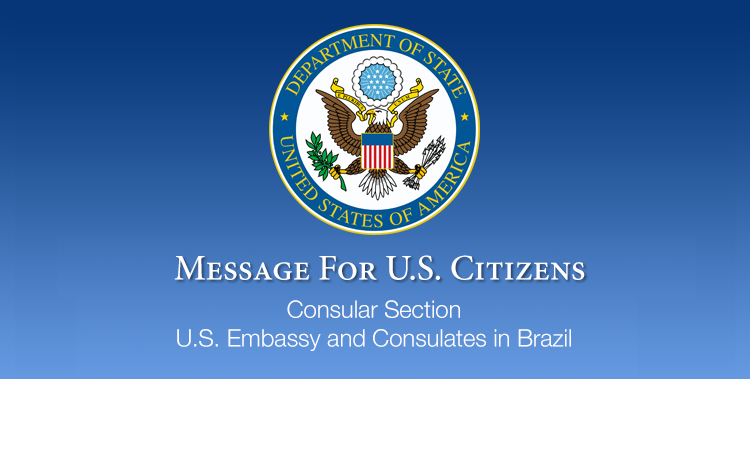 The following figures are estimated in U.S. dollars based on the consular exchange rate of US$ 1.00 = Brazilian Reais 3.60. All fees are approximate. The exchange rate fluctuates frequently. Fees include collection and transportation of remains, wood casket, funeral home charges, administrative fees, cost of burial plot in public cemetery for a period of five years, brief services with no mourners present. US$ 560 – US$ 1,000. After five years, the remains are exhumed and placed in a common grave. Remains may be transferred to a small box and placed in a memorial wall for a fee of US$ 250. Perpetual graves are difficult to obtain and very expensive due to a shortage of cemetery space, but the funeral agency might obtain if requested. Fees include collection and transportation of cremains, Doctor’s certificate, urn, crematorium fees, brief services with no mourners present and scattering of ashes. US$ 900 – US$ 1,400. Fees include embalming and Doctor’s / funeral director’s certification for shipment to the United States, casket with zinc lining, container for internal transportation. US$ 620 – US$ 1,000. Fees include cremation and Doctor’s / funeral director’s certification. US$ 280 – US$ 560. Remains may not be disinterred for five years (adults) and three years (children) without special permission from Judicial Order. Cost of preparation and shipment of exhumed remains to the United States is approximately US$ 1,400. There will be additional costs if the remains need to be transported within country prior to their departure form the capital. There will also be additional costs should the remains transit an airport outside Brasilia and make a stopover on route to the final destination in the United States. Religions: Christianity is the largest religion in Brazil, with Roman Catholics having the most adherents at 64.6% of the population. Protestants make up 22.2% of the population. Other religions in Brazil are Spiritism, and African-based religions such as Umbanda and Candomblé. There are also adherents to Judaism, indigenous religions, Islamism, and Hinduism. Religious Activities for Visitors: Because English is not widely spoken in the Northeast there are few English services available for most denominations. 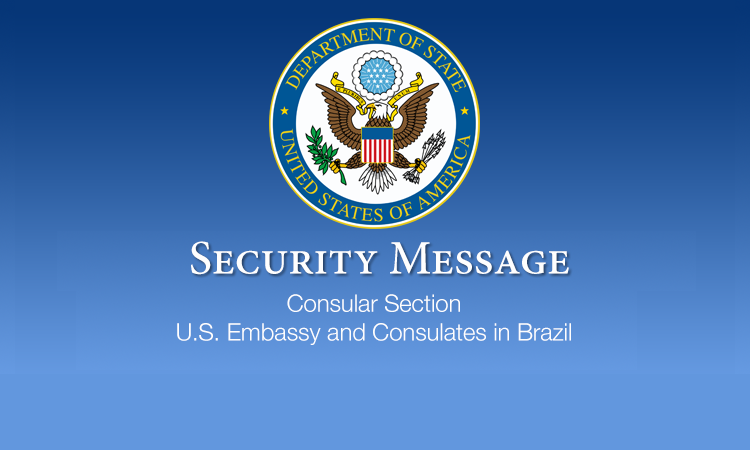 DISCLAIMER: The U.S. Consulate General Recife, Brazil assumes no responsibility or liability for the professional ability or reputation of, or the quality of services provided by, the following persons or firms. Names are listed alphabetically, and the order in which they appear has no other significance. Professional credentials and areas of expertise are provided directly by the funeral directors, morticians and other service providers. Address: Avenida Presidente João Goularte, 2118. Vila Torres Galvão. Maximum Period Before Burial: There is no Brazilian law limiting the time in which a body must be interred, but the scarcity and expense of refrigerated storage facilities dictate that the disposition of remains be completed as quickly as possible. Embalming: Embalming must be done by a licensed physician, and must be specifically requested. If death was accidental, or occurred in the absence of a physician, local authorities will require an autopsy prior to embalming. When refrigeration facilities are unavailable, embalming must be performed within twenty-four hours following death. Cremation: Cremation is available at the Morada da Paz cemetery and Memorial Guararapes cemetery in Pernambuco, and Jardim Metropolitano in Ceará. All arrangements must be done through a funeral agency. Brazil generally requires written proof, such as a will or notarized document, by the decedent-expressing a desire to be cremated. In lieu of written proof, three witnesses may testify or submit notarized documentation requesting cremation. A court order is required to release remains for cremation when death occurs by other than natural causes. Caskets and Containers: When remains are to be transported out of the country, the body is first embalmed or otherwise appropriately prepared or cremated for shipment. It is then placed in a casket with zinc lining, or urn in the case of cremation, within a wooden coffin which is finally placed in a suitable packing case that can support the weight of the complete container and body. Caskets and urns are available locally. They are prepared according to international regulations and meet the requirements for shipment out of the country. Exportation of Remains Procedures and documents for the exportation of human remains are as follows. Costs: The following figures are estimated in U.S. dollars based on the consular exchange rate of US$ 1.00 = Brazilian Reais 3.90. All fees are approximate. The exchange rate fluctuates frequently. Local Burial: Fees include collection and transportation of remains, wood casket, funeral home charges, administrative fees, cost of burial plot in public cemetery for a period of three years, brief services with no mourners present. US$ 700 – US$ 1000. After three years, the remains are exhumed and placed in a common grave. Remains may be transferred to a small box and placed in a memorial wall for a fee of US$ 250. Perpetual graves are difficult to obtain and very expensive due to a shortage of cemetery space, but the funeral agency might obtain one if requested. Should you decide to have the remains returned to the U.S. for burial, the costs would be substantially greater than a local burial due to the high cost of air freight and embalming. The total cost for preparation and air shipment to the U.S. is approximately $5000. Fees include collection and transportation of cremains, doctor’s certificate, urn, crematorium fees, brief services and delivery of ashes to a family member or a local representative in Brazil. The total cost is approximately $2000. Cremation in Brazil, Disposition in the U.SThe cost for preparation, cremation, and air shipment of ashes to the United States is approximately $3000. Remains may not be disinterred for three years without special permission set forth in a judicial order. Cost of preparation and shipment of exhumed remains to the United States is approximately $2000. Brazilian funerals include: a funeral ceremony and the cremation or burial of the deceased-in a public or private cemetery. There will be additional costs if the remains need to be transported within country prior to their departure from the state capital. There will also be additional costs should the remains transit an airport outside Recife and make a stopover en route to the final destination in the United States. The laws cited are from the national law of Brazil, The Revised Administrative Code of 1984 (RAC). All costs are given in U.S. dollars, but exchange rates fluctuate frequently. When Remains Are Not Embalmed: In Rio de Janeiro, the city morgue has refrigeration facilities and not embalmed remains may be kept up to 15 days if necessary. Outside urban areas, refrigeration facilities may be scarce. Embalming can be done by any qualified person but must be certified by a physician. If death was accidental, or occurred in the absence of a physician, local authorities will require an autopsy prior to embalming. When refrigeration facilities are unavailable, embalming must be performed within twenty-four hours following death. Cremation is available at Santa Casa da Misericórdia in Rio de Janeiro. All arrangements must be done through a funeral agency and/or a family member. Fees include collection and transportation of remains, wood casket, funeral home charges, administrative fees, cost of burial plot in public cemetery for a period of five years, brief services with no mourners present. US$ 730 – US$ 900. After five years, the remains are exhumed and placed in a common grave. Remains may be transferred to a small box and placed in a memorial wall for a fee of US$ 80. Perpetual graves are difficult to obtain and very expensive due to a shortage of cemetery space, but the funeral agency might obtain if requested. Fees include collection and transportation of cremains, Doctor’s certificate, urn, crematorium fees, brief services with no mourners present and scattering of ashes. US$ 2,000 – US$ 2,120. Fees include embalming and Doctor’s / funeral director’s certification for shipment to the United States, casket with zinc lining, container for internal transportation. US$ 500– US$ 560. There will be additional costs if the remains need to be transported within country prior to their departure from the capital. There will also be additional costs should the remains transit an airport outside Rio de Janeiro and make a stopover on route to the final destination in the United States. When Remains Are Not Embalmed: In São Paulo, the city morgue has refrigeration facilities and not embalmed remains may be kept up to 15 days if necessary. Outside urban areas, refrigeration facilities may be scarce. Embalming must be done by a licensed physician, and must be specifically requested. If the death was accidental, or occurred in the absence of a physician, local authorities will require an autopsy prior to embalming. When refrigeration facilities are unavailable, embalming must be performed within twenty-four hours following death. Arrangements for cremation generally must be done through a funeral home. Brazilian law states that written proof expressing a desire to be cremated is required. In lieu of written proof, three witnesses must testify to the expressed wishes of the deceased or family. A court order is required to release remains for cremation when death occurs from other than natural causes. Cremation is available at the following locations. Fees include collection and transportation of remains, wood casket, funeral home charges, administrative fees, cost of burial plot in public cemetery for a period of three years, brief services with no mourners present, US$ 1,400. After three years, the remains are exhumed and placed in a common grave. Remains may be transferred to a small box and placed in a memorial wall for a fee of US$ 1,120. Perpetual graves are difficult to obtain and very expensive due to a shortage of cemetery space, however families may be able to do so by paying for a private cemetery. Fees include collection and transportation of cremains, Doctor’s certificate, urn, crematorium fees, brief services with no mourners present and scattering of ashes. US$ 2,700. Fees include embalming and Doctor’s / funeral director’s certification for shipment to the United States, casket with zinc lining, container for international transportation. US$ 4,800. Fees include cremation and Doctor’s / funeral director’s certification. US$ 1,900. The above fees refer to flight costs. Remains may not be disinterred for three years (adults and children) without special permission by a Judicial Order. The remains (body) can be exhumed with permission of immediate family after three years according to Brazilian law. Cost of preparation and shipment of exhumed remains to the United States is approximately US$ 1,400. There will be additional costs if the remains need to be transported within country prior to their departure from Sao Paulo. There will also be additional costs should the remains transit an airport outside Sao Paulo and make a stopover on route to the final destination in the United States. These costs should be confirmed with the funeral home.